In the past years, Wifi connectivity between routers only allow you to combine two, three, or even more routers into a single network to equip your environment with Wireless connectivity. And this practice have become increasingly popular. But it seems that the technology of merging routers together faces one common limitation and that is the fact that you have to buy all of your routers from the same company, making it difficult, even when you want switch to your admiring brands. Just in case your in this trend, ‘EasyMesh’ standard policy is about to change things, as a newly introduced standard called EasyMesh, will now allow router manufacturers to make mesh routers that work with mesh routers from other companies. As long as both routers support EasyMesh, you’ll be able to put them on the same network. The Alliance didn’t immediately identify routers or manufacturers that would support the standard. Mesh routers provide better coverage than their counterparts by using one or more satellites. 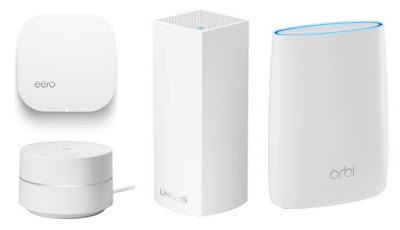 While similar in concept to extenders, mesh systems don’t require the creation of multiple SSIDs, and will automatically shuttle devices between the best possible connection points. Some models may have dedicated backhaul bands to ensure maximum speeds. ← How To Setup A custom Domain And DNS On Blogger.